Luxury Activist got the opportunity to exclusively interview Tom Sargent, Art and Antiques auction expert. Tom Sargent works as Client Manager of Artscope at Aon Private Clients, he specialises in high net worth items in auction, antiques and art. Previously worked in the auction industry for 6 years at Bonhams & Butterfields and Christies auctioneers where he valued antique furniture and Works of Art. Here he gained useful knowledge on how the art and high net worth industries operate working with dealers and collectors as well as sellers. LuxuryActivist (LA): The Art Market evolved a lot in the past years. Can you describe the major changes in Art Insurance you have observed in the past 10 years? Tom Sargent (TS): I’ve worked in the art industry for over 10 years and of that 6 years in insurance. In that time we have seen the top end art dramatically increase in value but as opposed to other fluctuations in the market this is substantially due to purchases being investment driven. A way of deducing this is the fact that a large amount of art is being put into storage rather than being displayed for enjoyment. Some of the major depositories are ‘free ports’ (an area with relaxed administration within a country) where they have very high security levels. Due to the accumulation of art this has pushed insurance premiums up in respect of these locations. 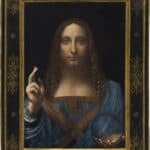 Conversely as a whole art insurance premiums have become more competitive as art is seen as a desirable risk to insure. As opposed to other assets, clients tend to take extreme care over their art because they are aware of its fragile nature and they often have an emotional connection with the item. We have also seen growth in areas previously seen as niche, such as collectibles e.g. vintage cameras, ethnic art and occasionally installation art. LA: Do you have experience in the Asian art market and if so are there any notable differences between insurance for Asian art and European. TS: The art market is now truly global and some would argue that geographically it can make little difference where art is sold due to the increased exposure art sales receive. As has been shown in the media Chinese buyers have increasingly active in the market. They initially started purchasing purely Chinese art but they are showing signs of looking at other markets as Chinese prices have levelled. Insurance wise this has impacted European dealers and auctioneers as they need to have worldwide transit cover and possibly higher levels of Professional Indemnity to protect themselves against mis-attribution or mis-description. LA: If an investment is made, what would be a good tip when securing insurance for art? TS: A professional valuation can be very important as insurers need to know the possible settlement value but also the authenticity. A figure must be established in order to calculate what will possibly be paid out and avoids any confusion. The appropriate level of security proportionate to the value of the art should also be installed and any additional hazards should be considered. This can include preventing water damage by elevating stored art above floor level, removing art when property work is carried out etc. LA: Antique Furniture has a more lower buzz profile than Art. Do you see similar trends in the insurance industry? TS: Antique furniture can have the lowest insurance premiums due to it being harder to damage, to steal and has generally been seen as less desirable. The top end still appears to be performing well however. The trend appears to be less furniture dealers using shop locations and more attending fairs. Insurance cover for fairs is treated as a separate category under a policy therefore is charged at different rates. Private collection wise some collectors include their antique furniture with their contents. LA: How do you see the future in the insurance market of Antiques furniture and Art? TS: We expect to see more young buyers realizing that they may need to take out specific fine art policies as their standard household policies have insufficient cover. Art will probably continue to accumulate in storage and we could see more commercial clients looking at Cyber Liability as the risk of internet exposure is highlighted. Councils and other institutions that are realizing they have valuable collections will look to take out more comprehensive cover as they become more accountable. With the world globalization and also the communication power of internet, we will definitely need experts to help preserving at its best all the Art and Antique collections. And in terms of Insurance, Tom Sargent is a key worldwide person. Info sourced exclusively for luxuryactivist.com. All content is copyrighted with no reproduction rights available.